Sierra Leone is one of the poorest countries in the world. Most people live on low economic opportunities offered by agriculture, international humanitarian aid or even criminal activities. As a former country devastated by war, Sierra Leone, belongs to the Least Developed Countries (LDC) and the Heavily Indebted Poor Countries (HIPC). It is one of the weakest performers in the UNDP Human Development Reports (HDR), despite some progress in recent years. Sierra Leoneans suffer from massive poverty, as half of the population live in a situation of multidimensional poverty, which means prevalent malnutrition, high child mortality rates, low life expectancy, lacking infrastructures and good education systems with insufficient availability of basic medical services to cope with tropical diseases, malaria, tuberculosis, HIV/AIDS and, more recently, Ebola. In 2016, 3.5 million Sierra Leoneans, more than half of the population, were evaluated to be as food-insecure by the U.N., while 600,000 of the food-insecure were considered to be at risk of starvation. Women and children are affected far more by the consequences of burdensome living conditions and epidemics like Ebola than men. With the launch of DU Program the ST Foundation wanted to respond to the lack of basic infrastructures in the country and it began deploying its courses in 2009, concentrating its efforts in Freetown where the first 4 schools were equipped. 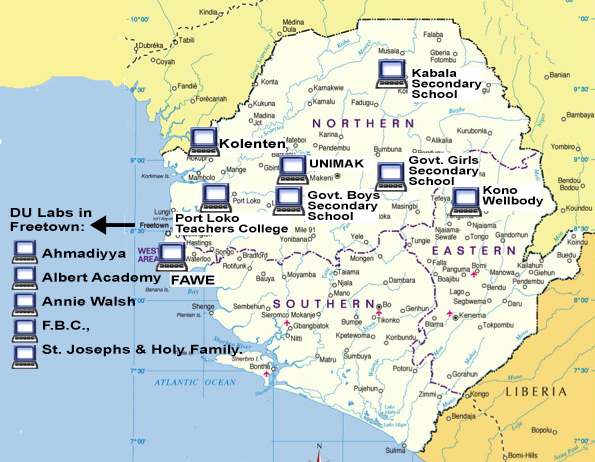 The Foundation was then able to answer to the growing requests of support bringing education, not only in big cities like Freetown, but throughout the years, it set up labs in many towns and villages giving access to informatics literacy to as many people as possible. Following this view, the Foundation is now managing 24 operational labs in 12 different areas working with public schools, universities, NGOs and private organizations. 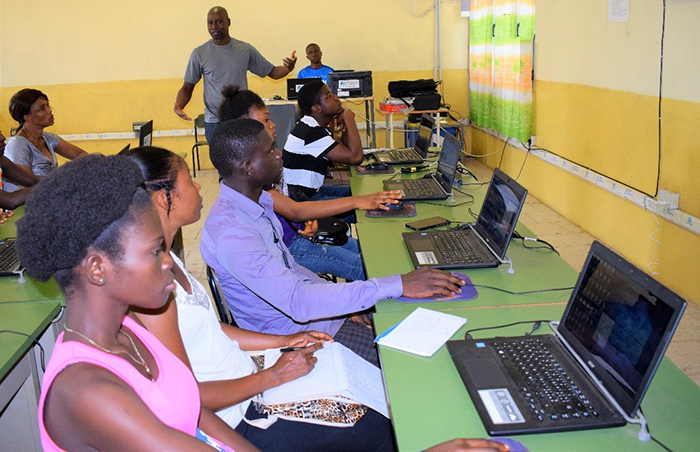 The activities are now managed through a local NGO: Bridge the Digital Divide Sierra Leone, that can be considered as the operational arm of the Foundation in the country. The great commitment of all the stakeholders, involved in the success of the program, contributed to turn the country into the best performer out of all the others and at present we have trained over 109,000 beneficiaries. On the basis of these good results the Foundation has tested in September the Tablet for Kids course in the country and now it is further cascading it to new beneficiaries.